Early identification of faults in railway gearboxes is a challenging task in gearbox fault detection. There are extensive studies, such as patents and papers have been fully developed for processing vibration signals to obtain diagnostic information about gearbox. We have proposed a new technique for detecting faults in the railway gearbox by applying the time frequency parameters and genetic algorithm neural network to deal with railway gearbox fault signals. 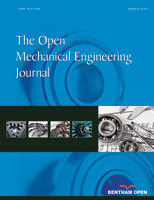 In this method, wavelet analysis and empirical mode decomposition (EMD) are carried out on gearbox vibration signals for extracting the time-frequency feature parameters. Then genetic algorithm neural network (GNN) is used for the classifications of the time-frequency feature parameters. The analysis results show that the effectiveness and the high recognition rate in classifying different faults of railway gearboxes.